I can log in to roundcube and select all the emails but the menu option is disabled. What steps am I missing? 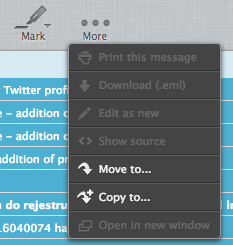 Downloading multiple emails is supported only with zipdownload plugin enabled (and configured).